Cytat: I’ve ported this mod to ATS from ETS 2. I will try to keep it up to date with future patches. This mod changes the sound of the rain for better immersion and also how raindrops act on the windshield. The number of drops, splash scale, lifetime, adhesion factor etc. 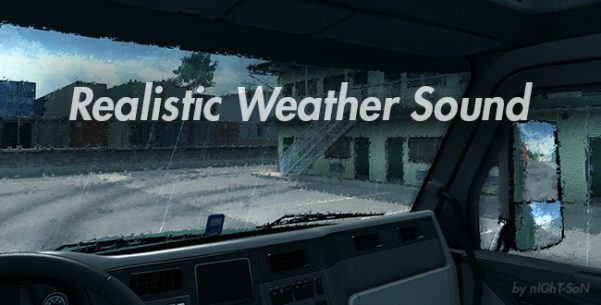 are changed from vanilla game making harder to see forward and sideways when it’s raining, especially if you are not using the wipers.